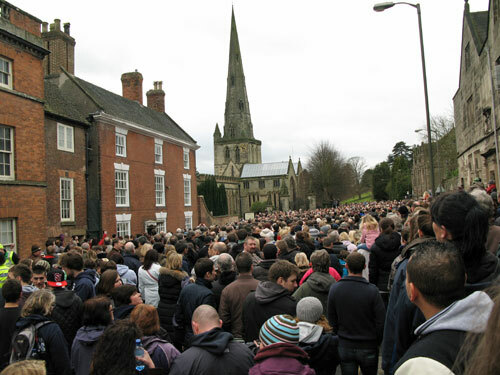 Shrovetide football is an ancient annual event that takes place in Ashbourne, Derbyshire on Shrove Tuesday and Ash Wednesday. It has little to do with normal football, for the game has few rules. Murder and manslaughter are barred as is the transportation of the ball by vehicle. Play after midnight is also forbidden. 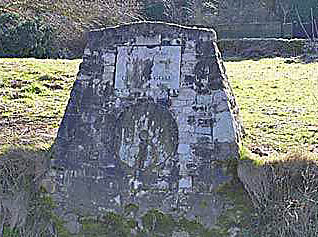 There are 2 goal posts, one at Sturton Mill, the other at Clifton Mill, a distance of 3 miles apart both on the outskirts of Ashbourne Town Centre, and the 2 sides are made up of those that live north of Henmore Brook, called the Uppard`s, and those who live south of it, called the Down`ards. The game is played through the town with no limit on number of players or playing area so the shops in the town have to be boarded up during the game, and people are encouraged to park their cars away from the main streets. In reality anyone can join in the fun. 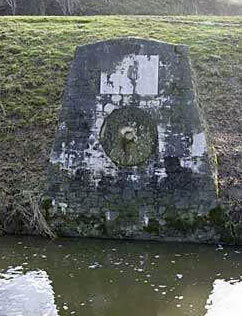 The ball is tapped three times on the mill stone at either Sturton or Clifton to score. 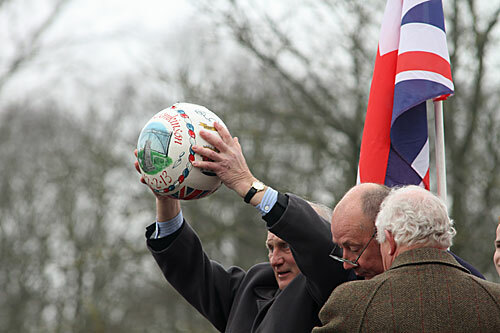 The game starts around 2pm, with a leather and cork ball being `turned up` at Shaw Croft by a local dignitary, usually after a short speech, singing of the Auld Lang Syne and God Save the Queen. The cork helps the ball float when it inevitably ends up in Henmore Brook. 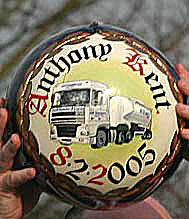 The ball is hand-painted by local craftsmen specially for the occasion, and the design is usually related to the dignitary who will be turning-up the ball. The ball is hardly ever kicked, but mostly `hugged` by a scrum which tries to move forward. At times there seems to be hardly any movement at all, except for players desperate to get into the scrum. Sometime or other, the ball has to go into Henmore Brook and everyone follows, regardless of the soaking they will get. If a goal is scored before 5pm, a new ball is turned up at Shaw Croft, as the scorer is allowed to keep the ball. Women do take part and have occasionaly scored. It is called `Royal` because in 1928 the ball was `turned up` by the then, Prince of Wales, later to become Edward the Eighth. In 2003 the ball was turned by by Prince Charles. Other notables who have turned up the ball are Sir Stanley Matthews in 1966, Brian Clough in 1975, and Roy McFarland in 1982.